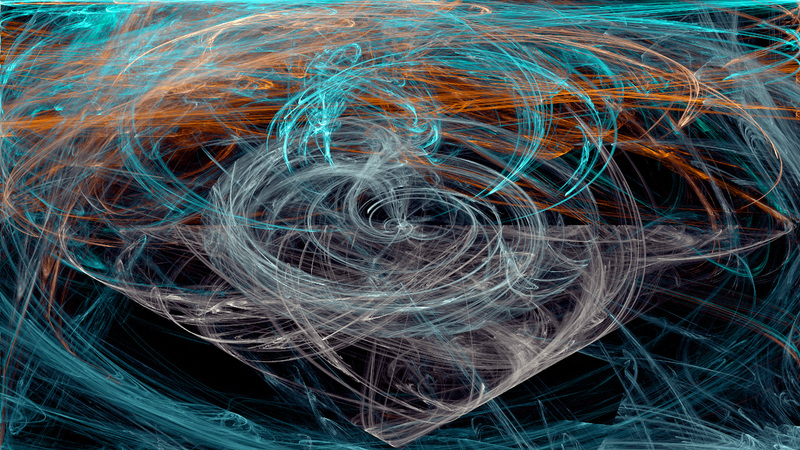 This Photoshop plugin will generate fractal flames. 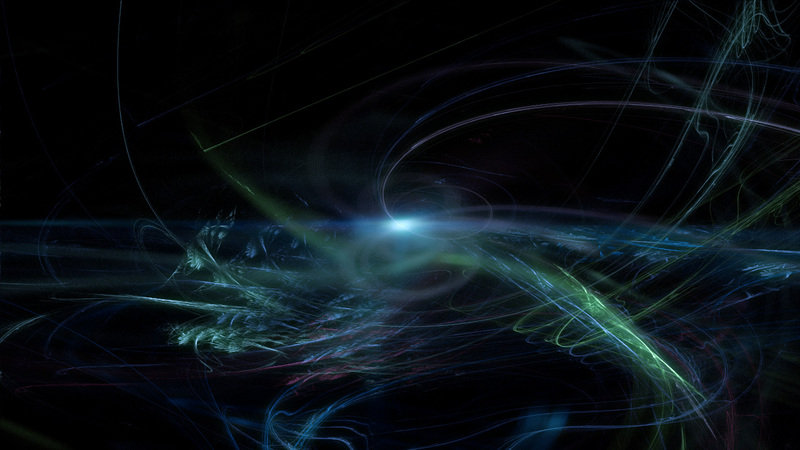 Fractal Flames is an extremely powerful Adobe Photoshop plugin based on the fractal work created by Scott Draves in 1992. 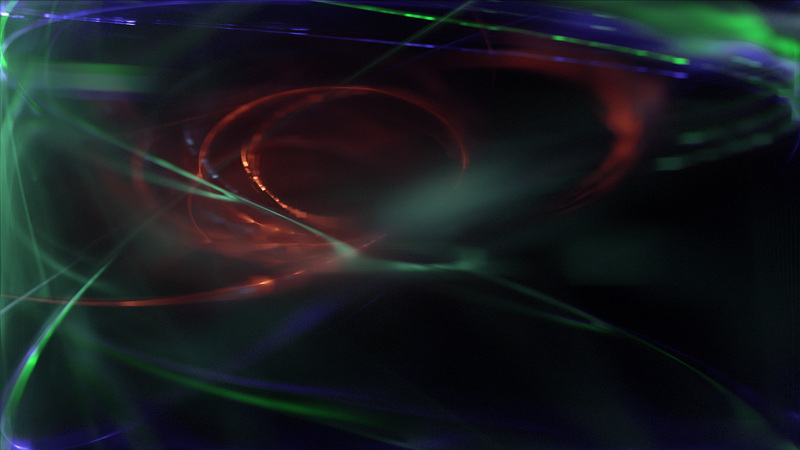 Although it is a member of the iterated function system class of fractals it differs in the sense that it features log-density display instead of linear or binary and performs very interesting color mapping routines based on structure as opposed to density. 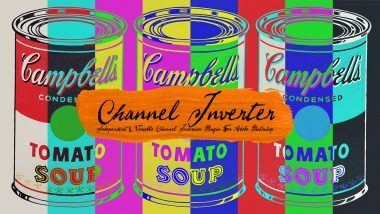 Don’t be fooled by it’s minimalist interface. 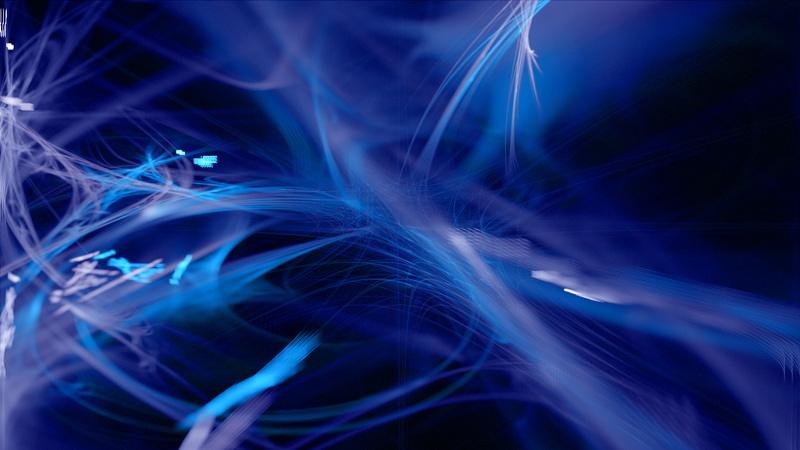 This Fractal Flames implementation is a complex fractal image generator that can be applicable to any number of industries including graphic design, motion graphics and illustration. 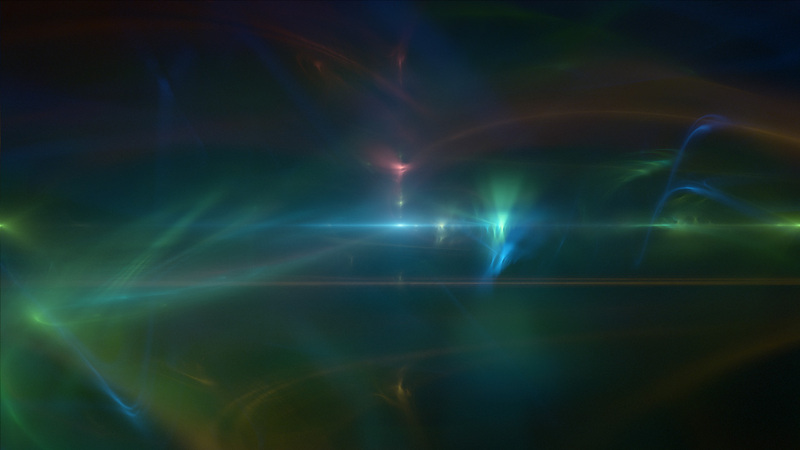 Aside from boasting blindingly-fast, 100% fully-multithreaded processing combined with gorgeous 16 bits / channel high-color support, Fractal Flames offers a heap of additional sophisticated features. It provides full control over all six fractal coefficients resulting in a virtually unlimited number of different possible fractal combinations. 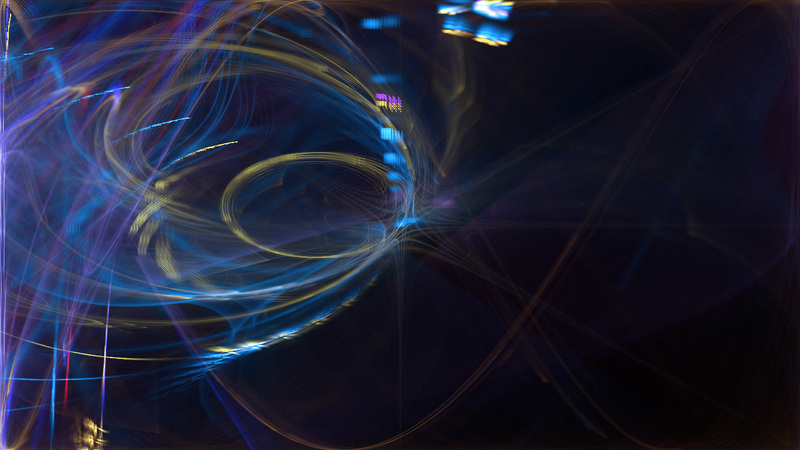 It features 24 of the most popular Fractal Flames functions developed by Scott Draves with full toggle, enable, disable and random selection. 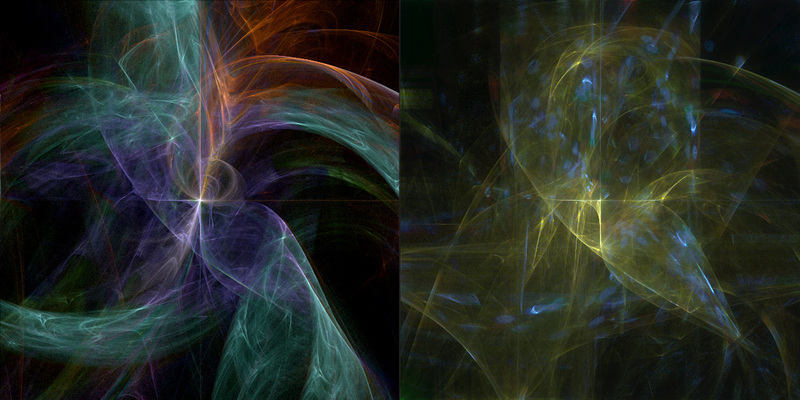 Fractal Flames offers various flexible coloring techniques including the use of single color, double color, spectral color, multi-color, RYGB color and image mapping. Each coloring technique yields completely different results based on which functions are selected / deselected. 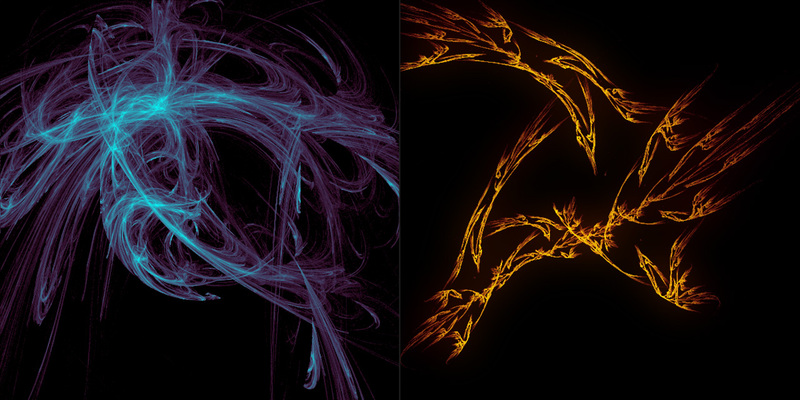 Fractal Flames provides three different kinds of color density mapping techniques including linear, square root and logarithmic. Each color density mapping type yields different results and brings out different details that might not have otherwise been visible. 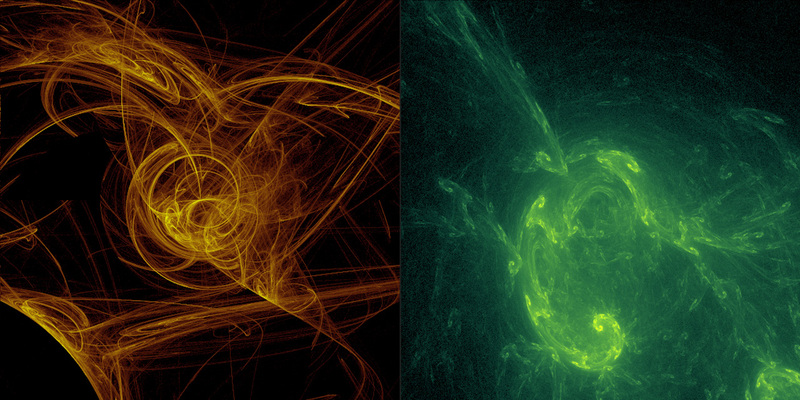 Fractal Flames provides additional color manipulators such intensity and gamma, both of which play an important role in density mapping. Fractal Flames offer some unique features such as depth shading where it uses the z variable for shading in the z axis. 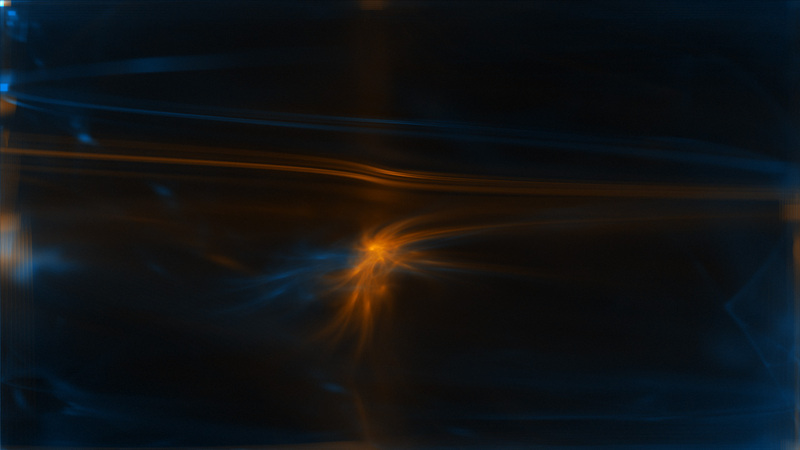 Additionally, Fractal Flames provides depth of field with a custom focal plane controller so that the user can specify which plane is in focus, and which are not. The use of these features produces truly outstanding results. 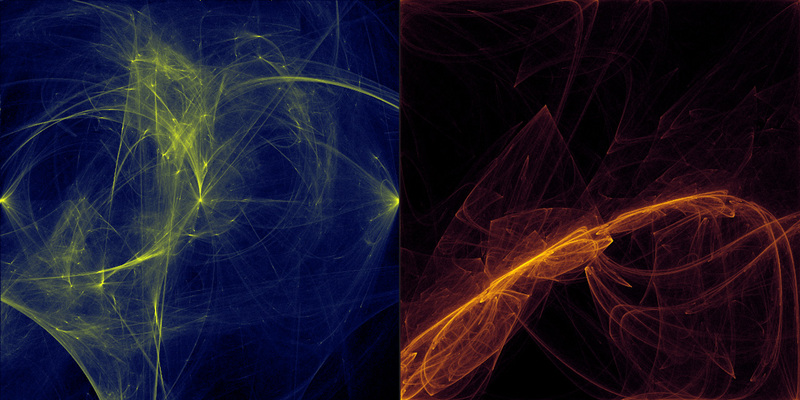 Finally, Fractal Flames allows the user to load and save all fractals for future retrieval. 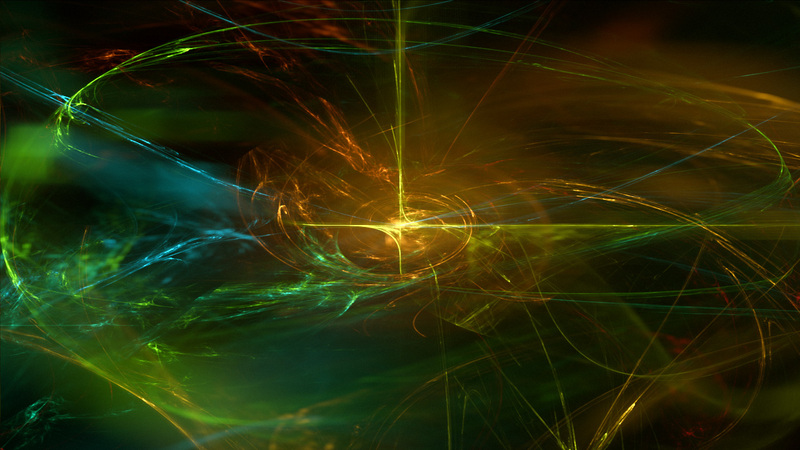 Fractal Flames is 100% multi-threaded capable of using an unlimited number of cores for ultimate speed. 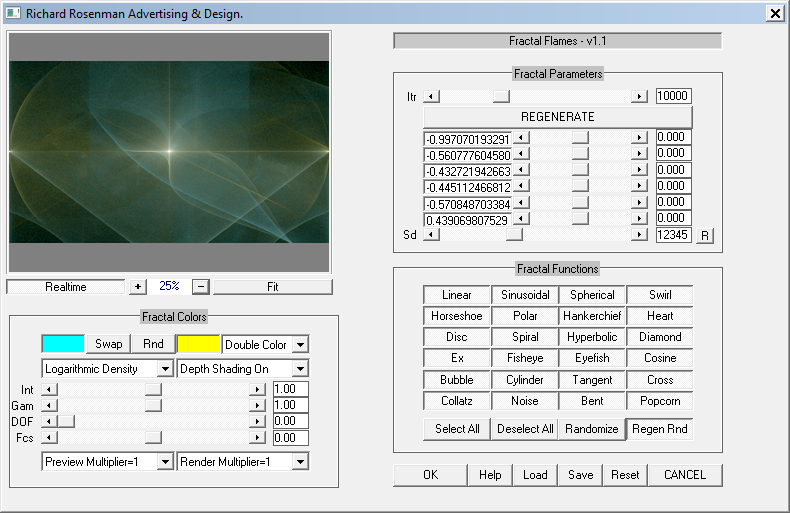 Fractal Flames supports both 8 bits / channel and 16 bits / channel color modes for professional workflows. Iterations: Specifies the number of samples to generate. 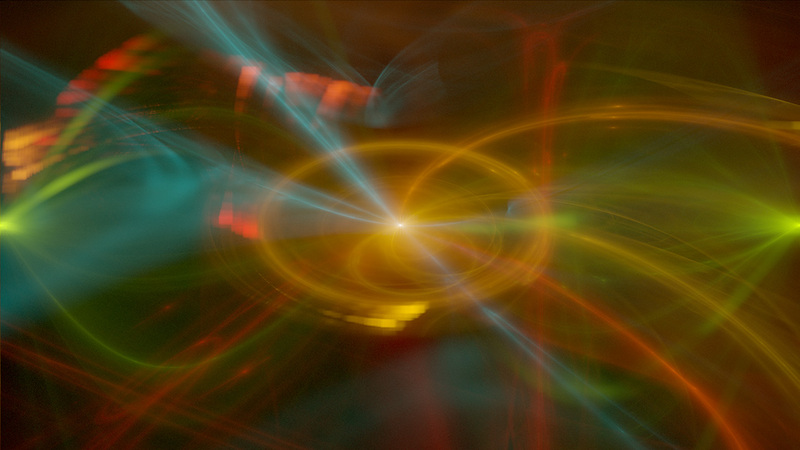 The more samples thrown at the image, the more refined the fractal will be but the longer the computation will take. 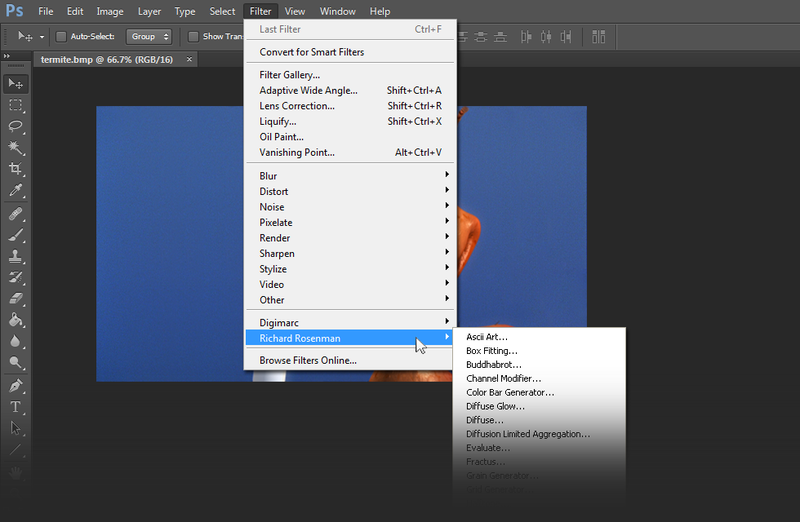 Using the iteration multipliers, you can provide different quality renders between your preview and final render. 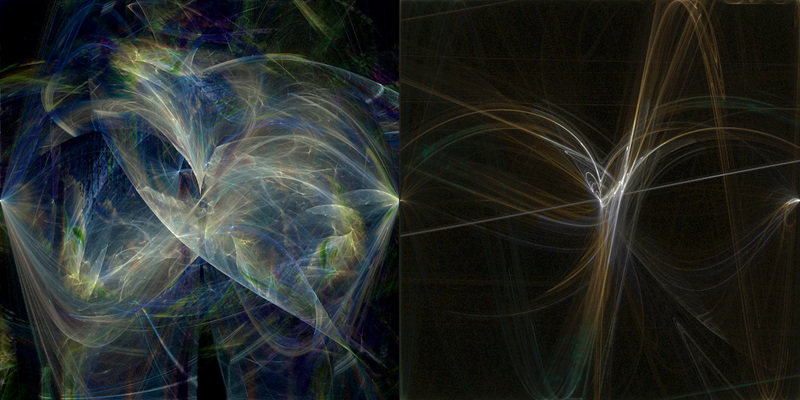 Regenerate: Generates a new fractal by randomizing the coefficients. If “Regen Rnd” is enabled, the fractal functions will also be randomized. a-f: These six coefficients define the shape of the fractal. Sd: This controls the random seed generator. 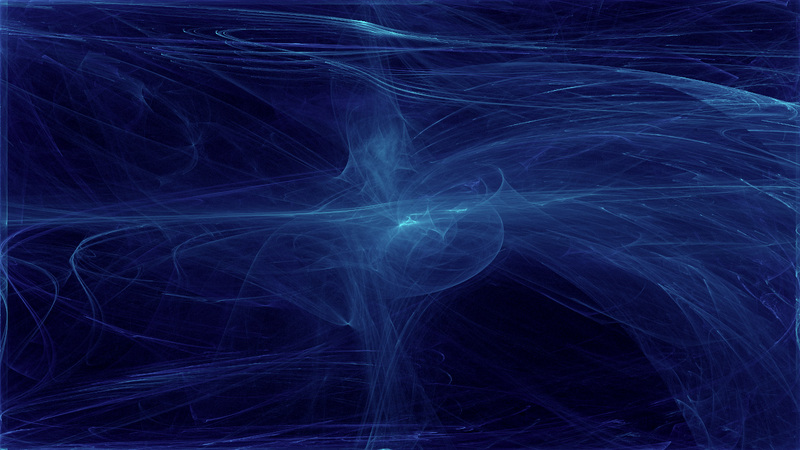 Changing this will update the same fractal but with regenerated random values. 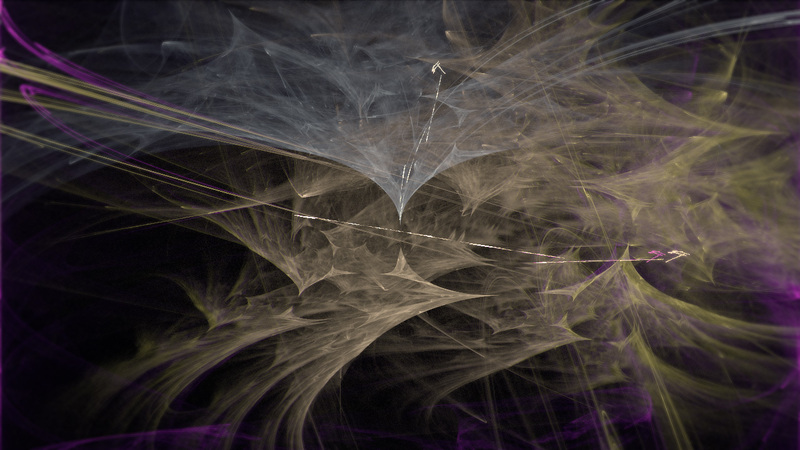 Fractal Functions: These fractal functions are at the heart of Fractal Flames and define which functions may be randomly selected and iterated through for every sample. Each function produces different shapes and it is these combinations with one another that yield fascinating structures. Additionally, colors are generally split up between the number of functions so that each function gets it’s own color. Therefore, the more functions there are enabled, the more colors will be used. Select All: Selects (enables) all the fractal functions. Deselect All: Deselects (disables) all the fractal functions. Randomize: Randomly selects (enables) fractal functions. 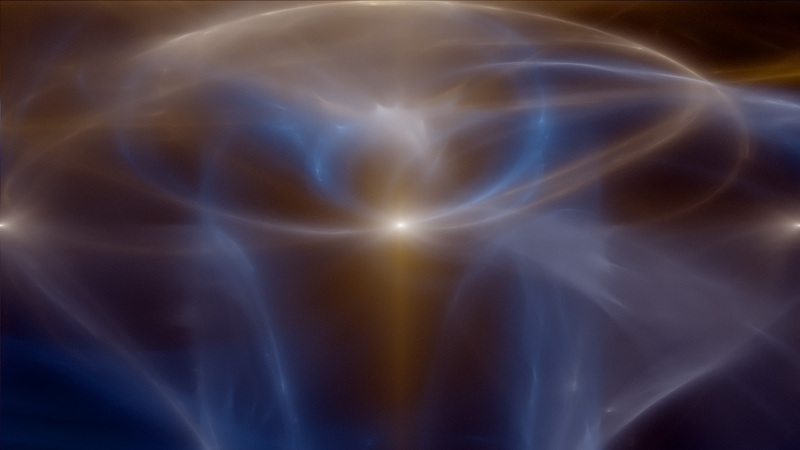 Regen Rnd: When enabled, this will randomly select new fractal functions every time the Regenerate button is clicked. Color A: The primary color swatch. Swap: This swaps color B with color A.
Rnd: This randomizes color A & B. Color B: The secondary color swatch. 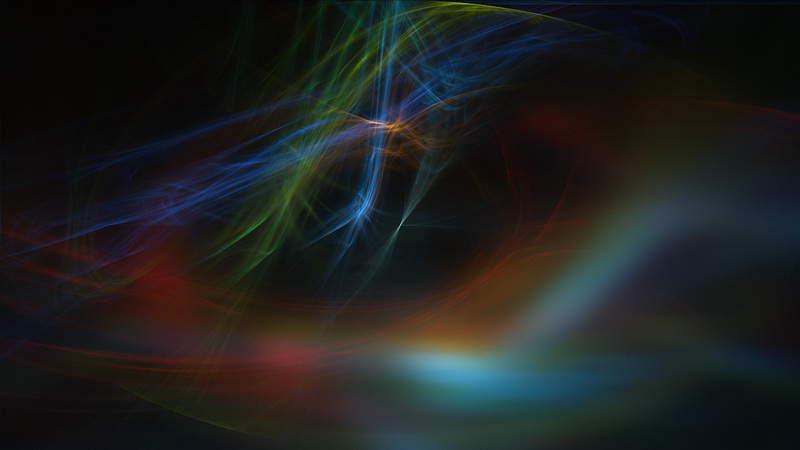 Coloring Technique: This specifies how to color the fractal and is one of Fractal Flames most powerful features. Each mode can reveal details not previously visible with other modes. 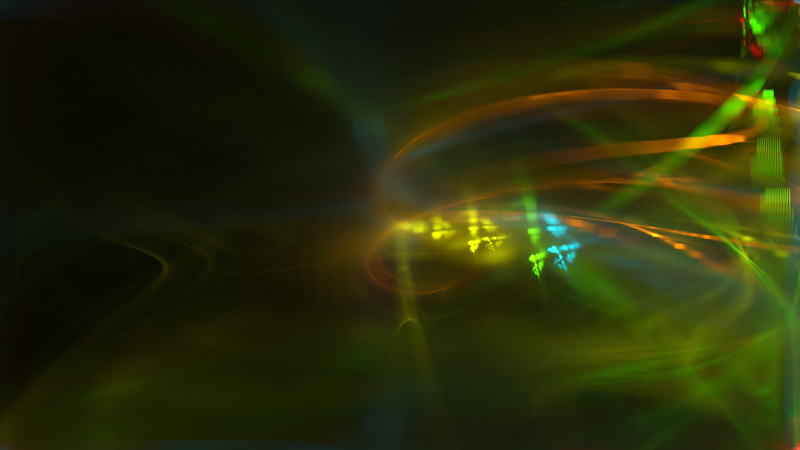 Modes include single color (uses color A), double color (uses color A & B), double blend (maps color A to bright areas and color B to dark areas), spectral color (uses the entire HSL color spectrum), multi-color (randomizes same number of colors as there are fractal functions selected), RYGB (red, yellow, green b Blue) color and image mapping. 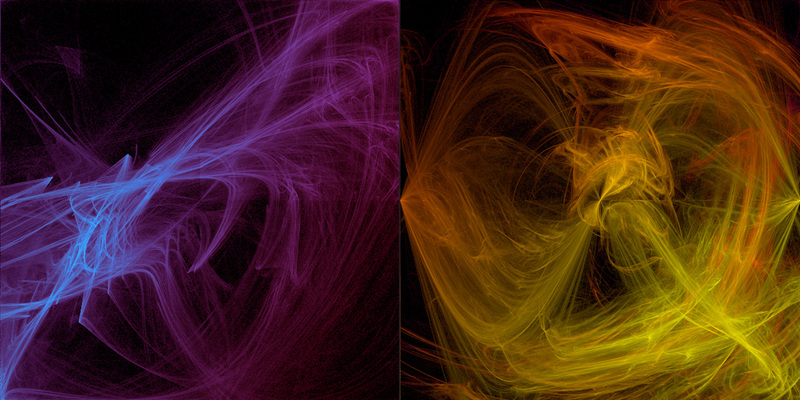 Image mapping is a unique coloring method in Fractal Flames that attempts to map the image (and therefore it’s colors), onto the fractal. This allows you to colorize a fractal according to an image. 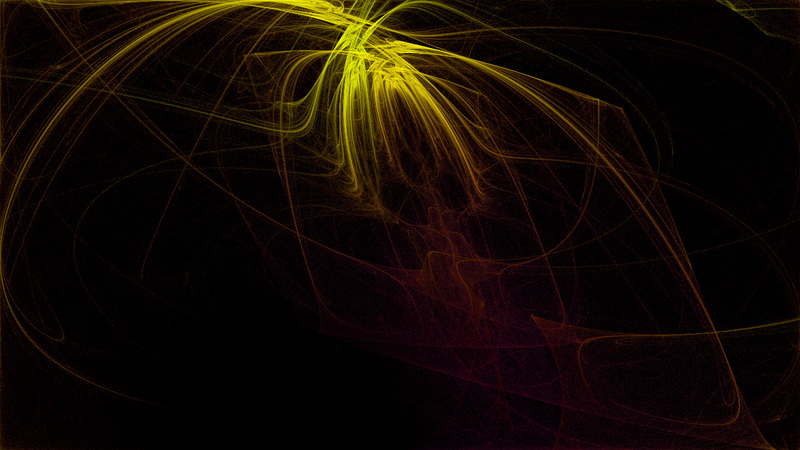 Density Mapping: This specifies how to map the colors onto the fractal. The three available modes are linear, square root and logarithmic, each increasing in gamma respectively. Each density map yields dramatically different results and, like many of the other features, reveal details that may not have been previously visible with other modes. There is no specific mode that is better than the rest. 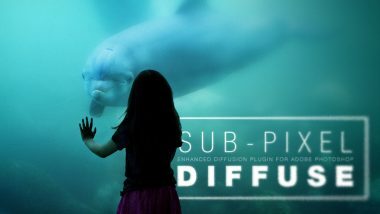 However, the more iterations you provide, the brighter the image will become so it is often recommended to switch between them until a pleasing mode is found. Depth Shading: This feature shades the fractal according to the z axis (so objects closer to the viewer are brighter while those away are darker). Depth shading can produce some very interesting results so it’s often recommended to view the image with and without this feature. 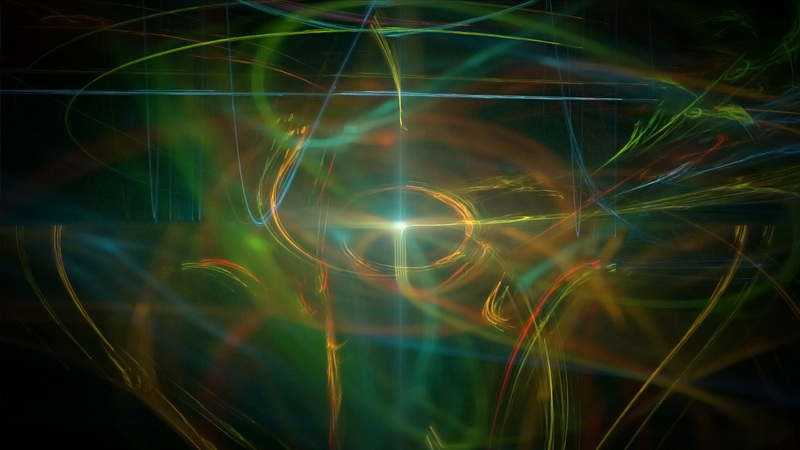 Additionally, this feature is more prominent in some fractals and less prominent in others. Int: Controls the intensity of the fractal. 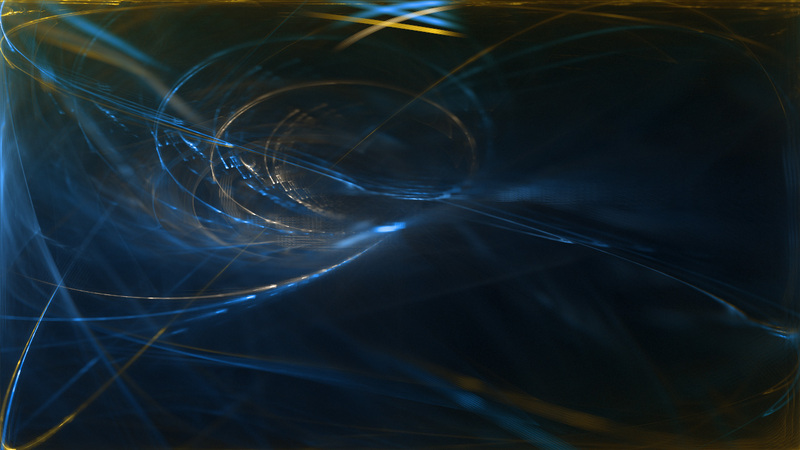 Gam: Controls the gamma of the fractal. A higher gamma often reveals more details but consequently washes out the image. 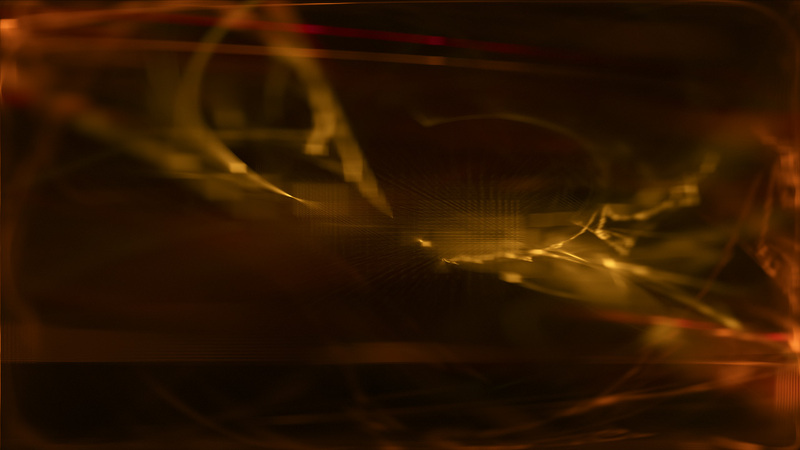 DOF: Fractal Flames features a depth of field feature which produces amazing results. 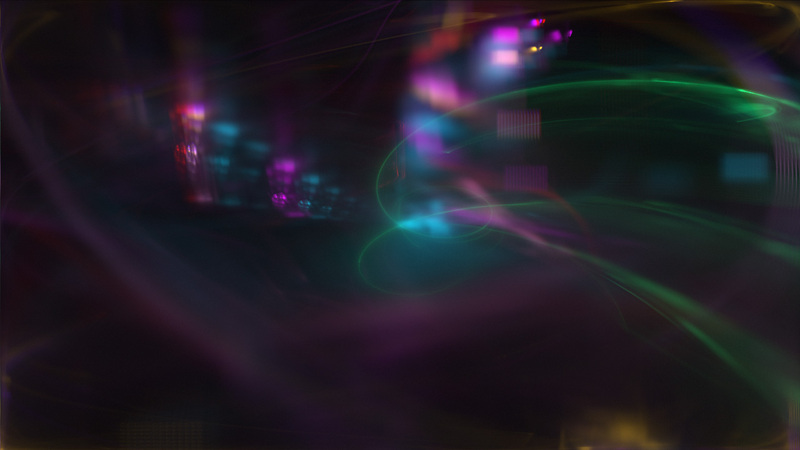 Using depth of field, the user can choose a z-axis plane to place parts of the fractal in focus while the rest become defocused. This creates a focal point in your image and helps remove busy detail that may not be otherwise desired. Fcs: This slider controls the focal plane and allows the user to shift the focus along the z-axis. In the examples below, you can see features being brought out in one image while others not previously seen before are brought out in the other. 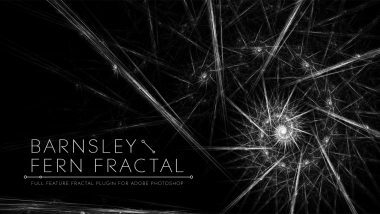 The focus slider is a powerful tool for exploring details within the fractal.